My day began at 5:30am and not wanting to disturb my hostel room mates, I quickly dressed and left the dormitory hopefully not waking them up in the process. The hostel has a large kitchen area and I was able to make some fresh coffee for my flask before I took to the road. The plan this morning was to visit Tomales Point with the goal of capturing some tule elk images in the early morning light. The drive from the hostel took about 45 minutes arriving in the Pierce Point Ranch parking lot around 6:30am in darkness. As I was about to turn down a hill toward the ranch, I had the most amazing experience! A pair of large coyotes stood right in the middle of the road near a small group of tule elk. My arrival seemed to upset them as they both began to howl! I naturally stopped and watched them as they then took off into the surrounding brush. I can only think they were maybe planning on trying to bring down an elk? 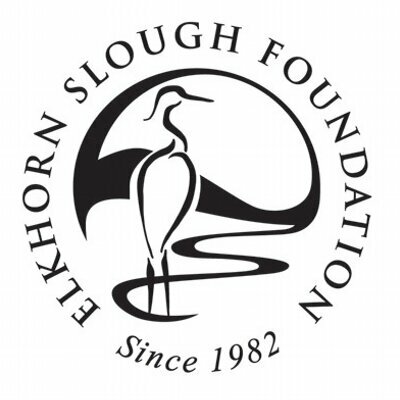 From what I have read, they have been known to kill young or injured/frail elk. I sat in my car until the sun began to rise as I did not want to take to the trail in the dark. Mountain lions have been spotted, including one I saw here many years ago up on a distant hill. As soon as it was light enough, I packed up my backpack with water and a snack and headed up onto the trail. The trail to the point is 4.7 miles and my intent was to walk in about three of those, as the final 1.5 miles are officially unmaintained, overgrown and sandy. 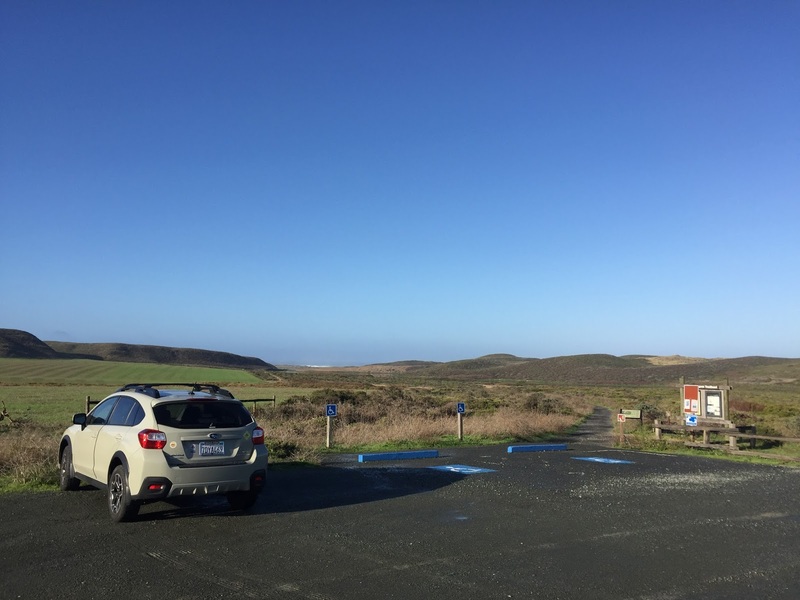 Hiking along this trail is quite spectacular, especially on clear days, offering fantastic, elevated views over the Pacific Ocean to the west, and Tomales Bay and the mainland to the east - like walking across a high island! Again, being the first person there was a wonderfully freeing feeling! How lucky am I to be in such a beautiful place! 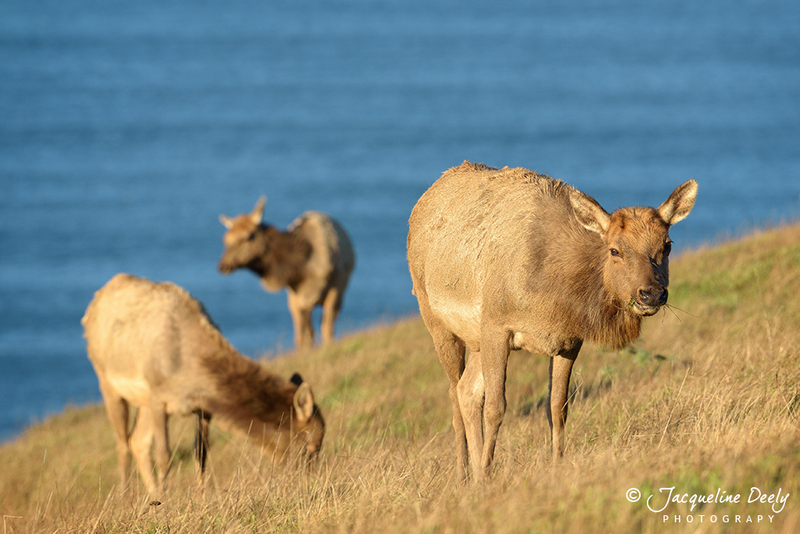 It did not take long for me to encounter more tule elk, this a group of females in beautiful golden light, so I slowed down and found a spot on the trail to watch and photograph them from. The elk here are accustomed to seeing people, so my presence did not totally spook them. Each time I moved however, they were quick to look up from their eating, but settled back down once I remained still. While doing some online research about the elk, I came across a blog by wildlife photographer Jim Coda and I was surprised to read some of the issues relating to the management of the tule elk in Point Reyes, particularly at Tomales Point. These include disease, lack of access to water during drought and fences which in essence have them "in captivity". There certainly seems to be contention with the local farmers as far as grazing rights and it brought mind the ongoing crisis in regard to our beautiful, wild horses. It seems wildlife ultimately and sadly ends up being the loser. 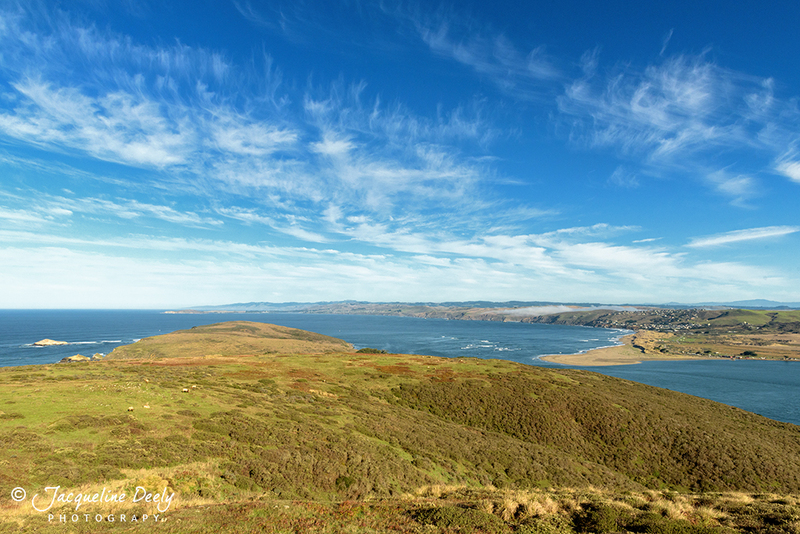 I continued my walk along the trail to high point where I could look out towards Tomales Point with the Pacific to my left and Dillon Beach on the mainland to my right. Looking down I could see more elk including several stags. This is typically the area one would be guaranteed to see elk on the trail, close to three miles in. This is when I encountered my very first burrowing owl at Point Reyes. I went off trail to access a view point and in doing so, stumbled on a burrow which in turn caused the bird to take flight. I have made note of the GPS coordinates for a future visit. After my morning on the trail, I spent the afternoon at McClures Beach, which is accessible via a second parking lot and trail right next to the Pierce Point Ranch. In all the years I have been visiting Point Reyes, I had never walked down to the beach, so decided this would be as good a time as any. So I made myself a sandwich, packed up my backpack and headed on down. McClures Beach is a favorite with photographers because of the dramatic rock formations at either end, so I wanted to scout it out as a potential spot to return to at sunset. I walked down the short and relatively steep trail arriving at this beautiful cove, empty except for a couple of people who left shortly afterwards. So once again, I had a stretch of stunning California coastline to myself. Although I did not stick around for sunset, it is definitely on my "must return to" list. Next stop was Kehoe Beach, yet another spot I have never visited. Kehoe Beach is the northern end of the Great Beach or Point Reyes Beach, a spectacular stretch of undeveloped coastline totaling 11 miles in length. The drive to Kehoe from McClures was less than 10 minutes. There is no parking lot as such, but ample areas to pull off from the road. So I decided to take a walk to the beach without camera gear as it was still too early for the best light. 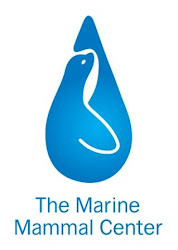 The walk is about 0.6 miles alongside a marsh and through sand dunes. Once on the beach, to the left there is a stream that leads out to the ocean. Here there were lots of gulls. To the right there were rock formations and a stretch of beach where dogs are allowed "on leash". The beach area south and to the left is off limits to dogs as this area is protected habitat for the threatened Western Snowy Plover. I decided that this might be a good spot to stick around for sunset, so headed back to my car to get my gear and a quick snack. 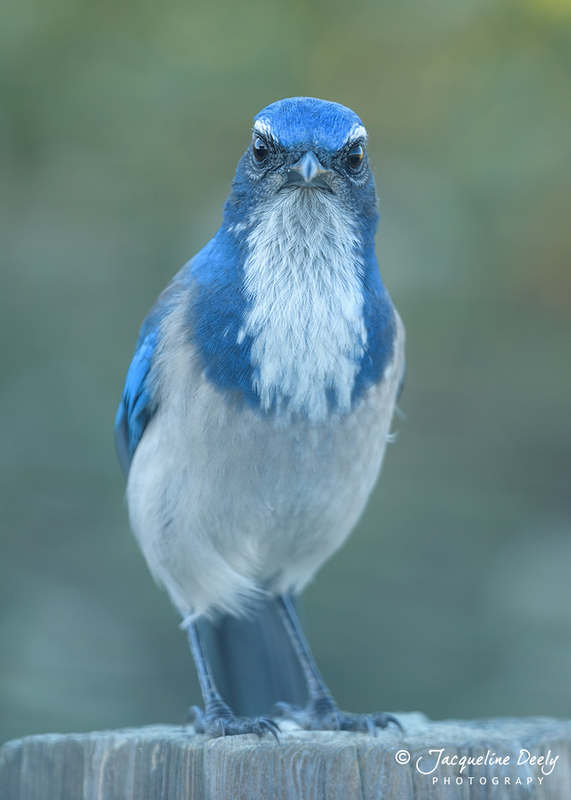 As I was switching lenses and preparing my backpack I was paid a visit by a very curious California Scrub Jay. 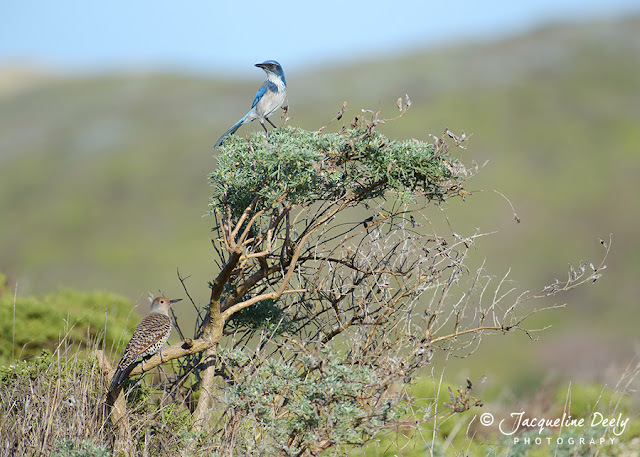 California Scrub-Jays (Aphelocoma californica) are a common sight and sometimes overlooked as photographic subjects, but I think they are incredibly beautiful with their brilliant azure blue feathers. Assertive, vocal, and inquisitive, this fellow took an interest in me and I could not resist capturing this comical pose as he stared intently. I headed back to the beach and started to look for a good spot to catch the sunset. 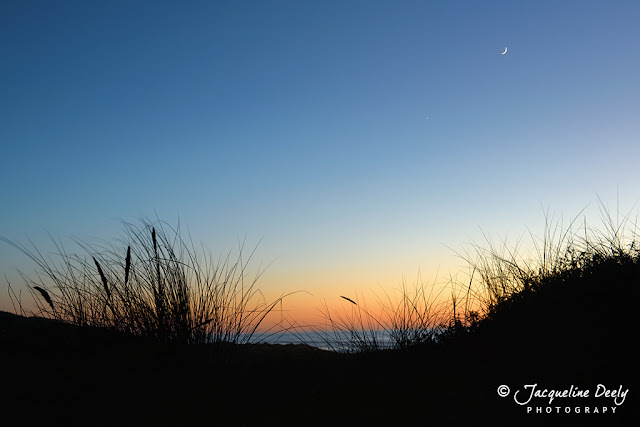 Here is a favorite of silhouetted dune grasses against the darkening sky and crescent moon. I have traveled far and wide, yet Point Reyes National Seashore remains undoubtedly my favorite place on the planet. This is my 18th consecutive year visiting the area and I personally think one of the best times to see it, as there are less tourists and minimal coastal fog. I recently spent three mid-week days there with the sole purpose of acquiring some new images to add to my portfolio and to enjoy solitary time in nature. Point Reyes National Seashore is a 71,028-acre park preserve located on the Point Reyes Peninsula in Marin County, California. As a national seashore, it is maintained by the US National Park Service as an important nature preserve. Some existing agricultural uses are allowed to continue within the park and there are several historical ranches dotted across the landscape, some operational while others are remnants with empty, abandoned buildings. 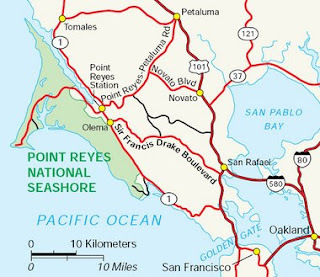 Clem Miller, a US Congressman from Marin County wrote and introduced the bill for the establishment of Point Reyes National Seashore in 1962 to protect the peninsula from development which was proposed at the time for the slopes above Drake's Bay. The Point Reyes peninsula is a well defined area, geologically separated from the rest of Marin County and almost all of the continental United States by a rift zone of the San Andreas Fault,about half of which is sunk below sea level and forms Tomales Bay. Although it is less than an hours drive north of San Francisco, it feels worlds apart. The breathtaking scenery and wildlife, the serenity and opportunity for peace and solitude are what draws me back time and time again. The landscape is constantly changing and no two visits are alike. I left San Jose at 6:00am arriving at Point Reyes Station by 8:30am. Normally I can do this in about 1 hr, 45 mins, but I hit commuter traffic near Oakland and prior to crossing the San Rafael Bridge. Once off the highways and on Sir Francis Drake Boulevard, I was able to relax and enjoy the rest of the journey. After arriving in town, I had grabbed a coffee and pastry at the Bovine Bakery, first stop on the agenda was Abbott's Lagoon, about a 15 minute drive. My first wildlife encounter was en route and although brief, was awesome as a bob cat ran across the road with breakfast in it's mouth. I was just thankful that it managed to get across without me or anyone else hitting it. I arrived to find an empty parking lot, so I packed my backpack with sunscreen, water and a snack, grabbed my camera gear and headed onto the trail. A lagoon is "a brackish water lake separated from the ocean by a narrow strip of beach." Abbotts Lagoon comprises of a north wing and a south wing, and the trail runs between the wings, then crosses a bridge and heads through the sand to the ocean. For the first mile only the north wing is visible from the trail, with views of the south wing blocked by hills. The walk to the lagoon and out to the beach is an easy 1.5 miles and is really beautiful with benches en route to sit and enjoy the sights and sounds that surround you. You also never know what you are going to see and being the only person on the trail allows for encounters with birds and wildlife that become less likely as more people arrive. 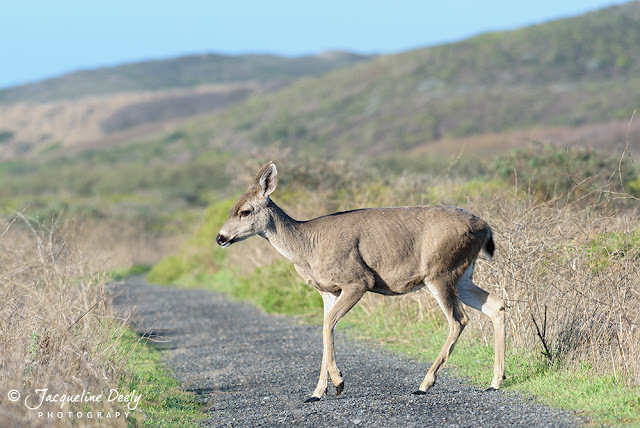 No sooner had I gotten on the trail when I spotted a female black-tailed deer (or mule deer) about to cross the trail, so I stopped to let her pass. This herbivore is the most common form of wildlife seen throughout the park, outside of the bird world. Since I had camera in hand, I was able to fire off a couple of images. I have found the combination of my D750 and Nikkor 200mm - 500mm works really well for hiking without too much weight and a nice range of focal length. As I progressed further along the trail towards the marshy area of the lagoon, I came upon a scrub jay perched atop a bush, so I stopped to capture an image. As I was about to take the image, a northern flicker decided it too wanted to be part a part of the photo opportunity and perched on a lower branch. It only lasted a moment, but I managed to get the shot. The trail meanders its way through a marshy area with a wooden boardwalk toward the sands dunes and prior to crossing a small wooden bridge it opens up with a view looking back towards the lagoon. The surface was like glass and the colors of the landscape were absolutely stunning with rich greens and blues. 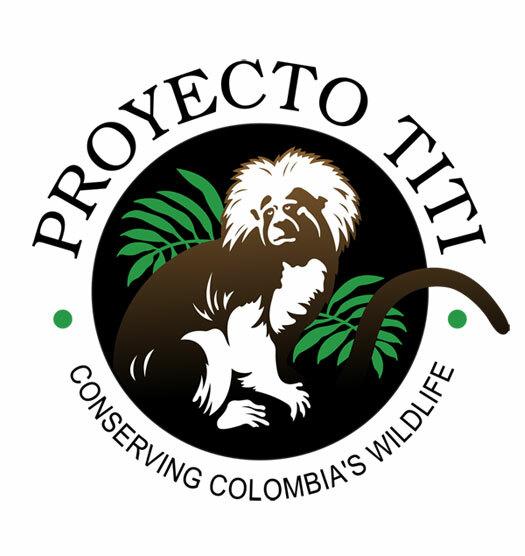 Other birds and animals I saw were rabbits, black-crowned sparrows, marsh wrens, black phoebes and both hawks and vultures circling up above. Once I reached the beach, I stopped to just take in the view, breathe deeply and inhale the fresh sea air as waves rolled in. 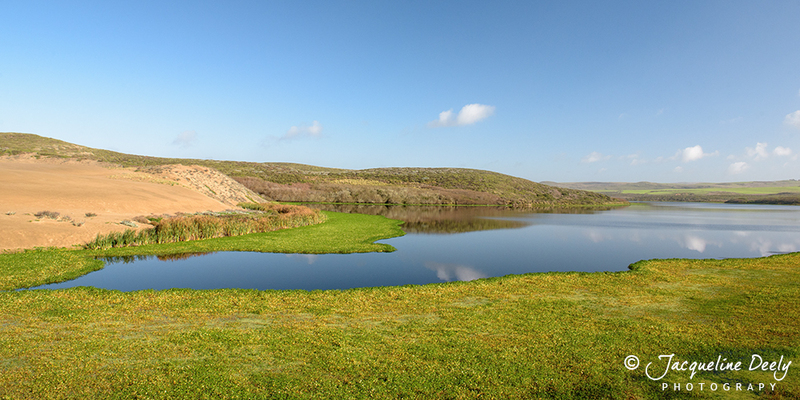 The beach offers panoramic views and you can walk north to "Kehoe Beach" or south to “The Great Beach” of Point Reyes. The beaches along this coastline can be dangerous as "sneaker" or "rogue" waves have taken lives, so I always make sure I keep a safe distance and never turn my back on the surf while walking along the shore. Abbotts Lagoon Beach is a noted area for the threatened Western Snowy Plover. From May to September, areas are roped off and signs posted to ensure these little shorebirds are protected so they can nest and raise their young with minimal disturbance. 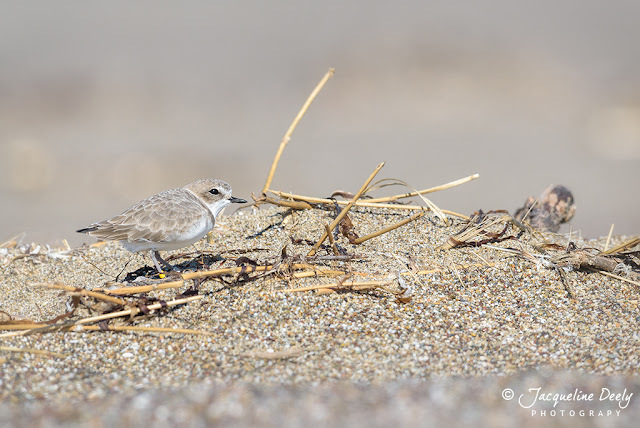 Plovers will use almost anything they can find on the beach to both hide and make their nests, including kelp, driftwood, shells, rocks, and even human footprints. During the winter, they use these beach areas to rest, so I was curious as to whether I would actually find any. Trying to spot these little birds is tough as they are well camouflaged and blend in with the sand, so binoculars are a must. They also try to hide lower down in the sand and remain very still when there is any activity or movement. Well, I was in luck and came across a group of about ten hidden in small indentations. Not wanting to disturb them unnecessarily, I lay down and slowly and gradually crawled closer within a reasonable distance, so I could capture a few images. My day ended with checking-in to the Point Reyes Hostel located near Limantour Beach ready for an early night, in preparation for getting up at 5:00am the following morning.